HLL Lifecare Ltd. has transformed itself as a total healthcare solution provider catering to the well-being of the society at large, graduating from a contraceptive manufacturer to a healthcare major in the public sector by successfully foraying into different segments. HLL aims at providing high quality healthcare products and services at affordable prices. 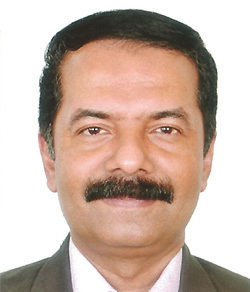 Mr K.Beji George, IRTS is the Chairman and Managing Director of HLL Lifecare Limited and its subsidiary companies. The 1990 batch IRTS officer, Mr George has been serving as CTPM, South Central Railway, Secunderabad.